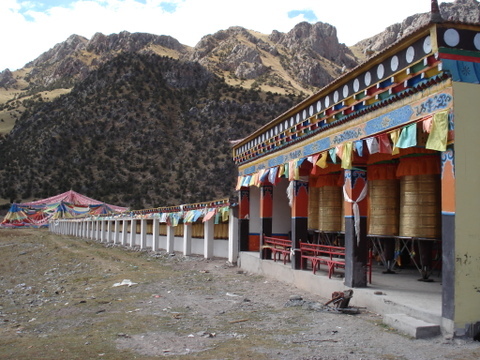 Dzado (Zaduo in Chinese) is one of the most isolated counties in Tibet. It lies 240kms southwest from Jyekundo , 1050kms south of Xining and 950kms northeast of Lhasa . 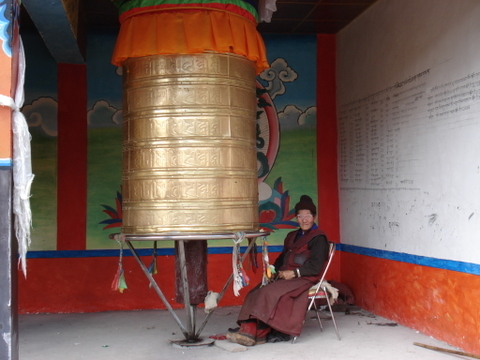 Dzado, like Nangchen county, has a very high percentage of Tibetans. Tibetans make up over 98% of the population of the county. The headwaters of the Mekong River (Dza Chu in Tibetan) are found near the township of Moyun in western Dzado. The county is named after the Mekong River. Most of the Tibetans in Dzado are herders. They either are nomads living in yak hair tents, or they live in small mudbrick homes. Yaks can be found everywhere. Dzado has an average elevation of 4200m / 13,800 feet. There are many mountains in the county that are over 5000m / 16,400 feet. Winters are cold and summers are mild. During certain times of the year, the Mekong River is a bright turquoise color. There are very few trees in this area, but the river and high mountains make it a very beautiful place to visit. Very few people make it to this remote corner of Tibet. There are no good hotels in the area and no one speaks English, but the journey to Dzado promises to be amazing and adventurous.